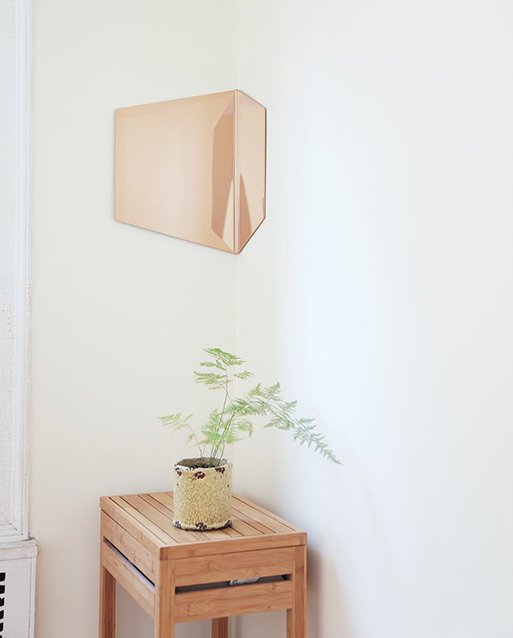 I’m sure there’s some corner of your home that would benefit from the Hex Corner Mirror from Hyfen. The mirror fits into any corner to reflect other parts of the room. Placed strategically, it could let you keep an eye on a certain spot of your home (the front door or fridge?) or ensure that coworkers can’t sneak up on you behind your desk. Shaped as a hexagon, it lends an edgier vibe that’s sure to work with your surroundings. Also available in a classic silver version. Originally posted Oct 14, 2016.